HSR Services Wants to See YOU Happy! Your satisfaction is very important to us! We have built our reputation on a solid foundation of loyal customers. If you are not satisfied with our service, tell us about it. Let us know the reason and we will work hard to correct it through: education, rushed service, or staff training. 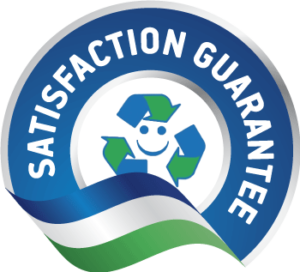 If you are still unsatisfied with the service we have provided, we will give you 10% off your next scheduled pick-up. And that is our Guarantee!